I want to update my paper to arXiv, which includes a separate bibliography. Unfortunately, my local biblatex version is newer than the one used by arXiv. As a result, arXiv does not accept my .bbl file, and it does not accept the original .bib, either (that it never did). Is there any easy way to generate (or convert?) .bbl in the older version, or do I have to downgrade to update my paper? At present, arXiv compiles with a more-or-less off the shelf version of texlive 2016. As such, only that version of biber/biblatex will work in our automated environment. The standard reply applies here as well: rather than try to downgrade your binaries/bbl file into an acceptable version: you should instead regenerate it in a portable bibliographic format that isn't tied to a specific application's version. Not the answer you're looking for? 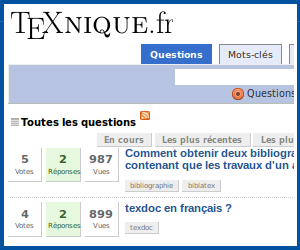 Browse other questions tagged bibliographies auxiliary-files arxiv or ask your own question. Which biblatex/biber version produces BBL format 2.8? How to modify `unsrt.bst` file to generate concise and readable Jounal of Applied Phyisics(JAP) style .bbl file? What is .bbl bibliography format?